After making his dent in the Hollywood landscape with the impressive Whiplash, as well as serving as a writer on this weekend's 10 Cloverfield Lane, Damian Chazelle has gotten his career off to a running start. 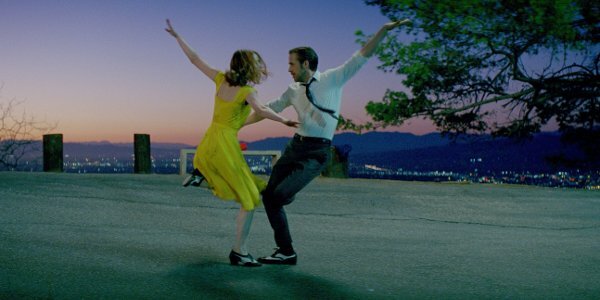 That momentum has carried over to his latest film, La La Land, which has now been moved from its original summer release date straight into the heart of awards season. The news came from The Hollywood Reporter, who reported that La La Land's July 15th debut has been pushed back to a limited run on December 2nd, with a wide release slated to follow on December 16th. The move comes not too long after Lionsgate slated their other awards contender, Patriot's Day, for a limited, awards qualifying release on December 21st. With two films already slated for a late season prestige blitz, Lionsgate seems to be going all in on their chances for scoring some golden glory. The initial pedigree of Damian Chazelle and his Whiplash actor, Academy Award winner J.K. Simmons, as well as previous partners-in-crime Ryan Gosling and Emma Stone, is enough to make La La Land a golden favorite. However, the fact that the film is a musical that also boasts fellow Academy Award winner John Legend as a cast member boosts the film into that rarefied air that makes award season so much fun. With musicals tending to stand a fair chance of, at the very least, raking in the Golden Globe nominations, they aren't always a guarantee come Oscar night. In fact, the ample ammunition La La Land has in its Oscar canon might prove to be a bit overwhelming for awards voters. With so many factors carefully chosen and laid out to pave the way in its favor, Damian Chazelle's sophomore effort may prove to be a little to awards bait-y for the folks that make these sorts of decisions. Not to mention, there's plenty of time for other awards contenders to start slotting their potential winners in very competitive release dates before and after La La Land's limited release. For all of the right decisions Chazelle and company have made on their modern musical love story, all of their efforts could wind up garnering a reception that's less Chicago and more The Producers. This isn't to say that La La Land won't be an impressive film, it's just that awards voters are a fickle bunch. As much as we'd like to see Ryan Gosling and Emma Stone sing and dance their way to a slew of awards nominations for both them and the film they'll be starring in, nothing is for certain when it comes to the end zone of cinematic award events. Keep in mind, this is going on only the knowledge of the film's log-line and creative team involved, as we haven't seen a trailer for the picture just yet. We'll be counting the days until that first trailer drops, which in turn might make us start counting down until La La Land's limited release on December 2nd.